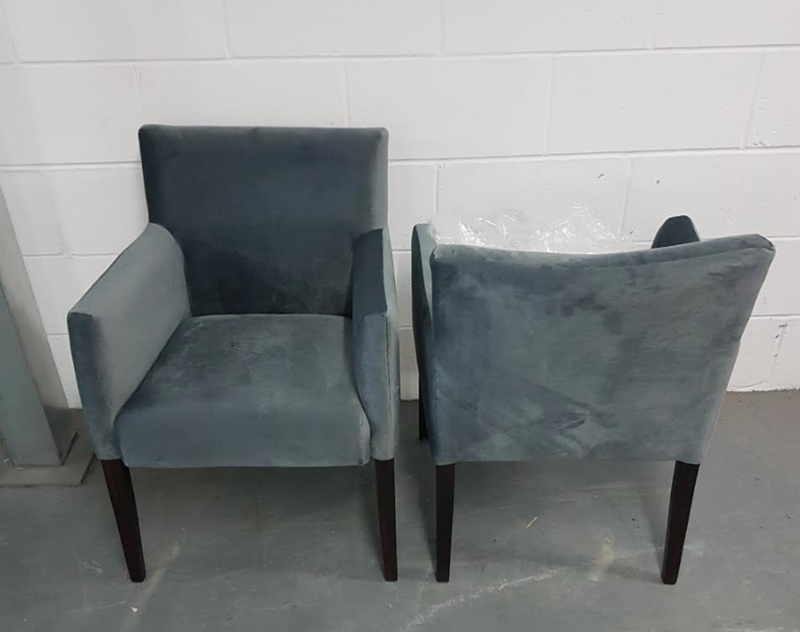 6x Grey / Blue brushed dralon armchairs. 4 chairs are boxed 2 are loose with just a polythene cover. They feel comfortable to sit on!